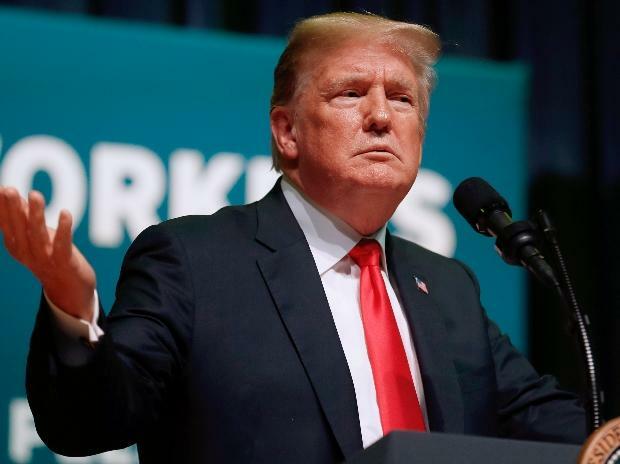 US President Donald Trump on Friday announced that the US will withdraw from the landmark nuclear arms control treaty with Russia, alleging that Kremlin violated the Cold War-era pact. Trump said that the US will begin withdrawing from the pact on Saturday and will exit the treaty in six months unless Russia comes back into compliance by destroying all of its "violating missiles, launchers, and associated equipment." The INF treaty, signed in 1987 by then President Ronald Reagan and Soviet leader Mikhail Gorbachev, prohibited the development and deployment of ground-launched nuclear missiles with ranges of 500-5,500 kilometers. Russia, Trump said, has violated the arms agreement by building and fielding the banned weapons for many years. "For far too long, Russia has violated the Intermediate-Range Nuclear Forces (INF) Treaty with impunity, covertly developing and fielding a prohibited missile system that poses a direct threat to US allies and troops abroad," Trump said. "Tomorrow, the US will suspend its obligations under the INF Treaty and begin the process of withdrawing from the INF Treaty, which will be completed in six months unless Russia comes back into compliance by destroying all of its violating missiles, launchers, and associated equipment, Trump said in a statement issued by the White House. NATO Allies fully support the US, he said. "This is because they understand the threat posed by Russia's violation and the risks to arms control posed by ignoring treaty violations," he noted. Asserting that the US has fully adhered to the INF Treaty for more than 30 years, Trump said the US will not remain constrained by its terms while Russia "misrepresents" its actions. We cannot be the only country in the world unilaterally bound by this treaty, or any other. We will move forward with developing our own military response options and will work with NATO and our other allies and partners to deny Russia any military advantage from its unlawful conduct, Trump said. Addressing an early morning news conference, Secretary of State Mike Pompeo alleged that for years Russia has violated the terms of the treaty without remorse. To this day Russia remains in material breach of its treaty obligations not to produce, possess or flight test a ground-launched, intermediate-range cruise missile system with a range between 500 and 5500 km, he alleged. "In spite of this violation, for almost six years the US has gone to tremendous lengths to preserve this agreement and ensure security for its people, allies and partners, he noted, adding that the US has raised Russia's noncompliance with Russian officials, including at the highest levels of government, more than 30 times. Yet Russia continues to deny that its missile system is noncompliant and violates the treaty," he charged. Accusing Russia of jeopardising the US' security interest, Pompeo said the US can no longer be restricted by the treaty while Russia shamelessly violates it. "If Russia does not return to full and verifiable compliance with the treaty within this six-month period by verifiably destroying its INF-violating missiles, their launchers and associated equipment, the treaty will terminate, said the top American diplomat. Senator Jim Risch, chairman of the Senate Foreign Relations Committee, in a statement supported the withdrawal of the US from the Intermediate-Range Nuclear Forces Treaty. The Russian government has had endless opportunities to change their bad behaviour, and over the past 60 days has proven its disinterest in doing so. The time has come to set the treaty aside and develop alternative avenues toward the security the treaty once provided, he said. Responding to the US suspension, Russia blasted the US and threatened to deploy new weapons if Washington goes through with pulling out of the deal.